& from United States including Silverado Canyon. B2 My Stair-cupboard At 3 A.M. The front laminated picture sleeve, with song lyrics on reverse & superb cover painting by Knox, shows only the lightest touch of ring wear & a faint corner crease. The colours are bright & vivid & all print clearly legible including along the spine. The die-cut poly-lined inner is dated '5-71' bottom left. An excellent condition example allround. The vinyl is super clean with minimal spindle wear & just a light hairline paper scuff not affecting play. We have play tested the disc & can safely say this is a beautiful EX condition copy, the first we've ever stocked in fact! 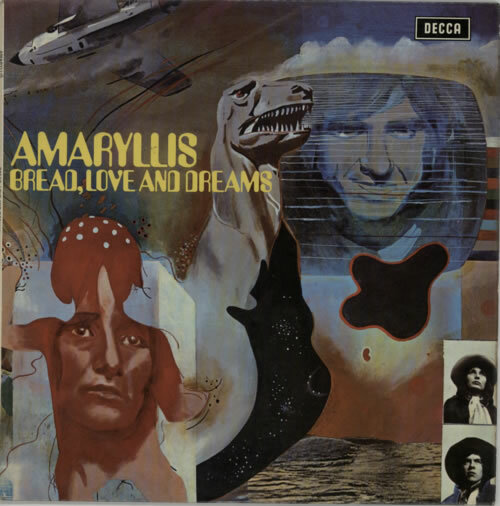 Product Information Bread, Love And Dreams Amaryllis UK vinyl LP album (LP record).